We know that you are also one them who got bored from the overwatch and now want to experience something new. If you are planning to get any mind-blowing multiplayer FPS game, then read out the following list for top games like overwatch and choose the best one to play in 2019. Paladins is a free-to-play multiplayer shooter game from hi-rez studios. It has similar gameplay to the overwatch. You will love its graphics, physics and the gameplay. You can experience premium quality gameplay for free after playing the paladins. Paladins have many attention-grabbing things, there are many heroes with special skill kits. You need to use all your battle skills of the overwatch to play the battles of the paladins. the best part about the paladins is, its playing maps are quite bigger than overwatch hence, you have many opportunities to use intense tactics in battle. Paladins is available on PS4, Nintendo switch, Xbox One, Windows, and Mac. 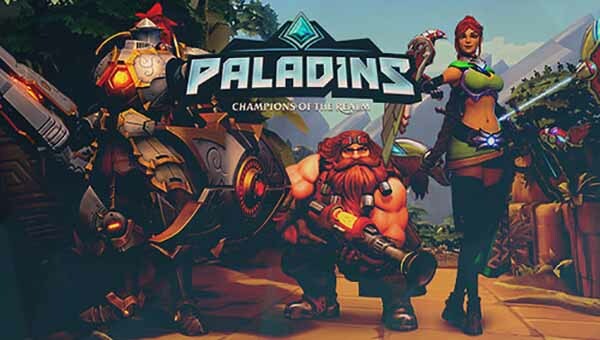 Get Paladins at Steam: $0.00 Free. Warframe is another fully action-packed third-person shooter game from digital extremes. If you love hard-core sci-fi fantasy gameplay, then you should try Warframe at once. Warframe features amazingly crafted character skills, gameplay, weapons, and other sources. You need to gather resources to craft weapons and Armors. There is a wide variety of customizable options to edit your character and weapons. You can be a space ninja by playing the Warframe. The great thing about the Warframe is, it is available completely for free, and available on Windows, Xbox One, PS4, Nintendo switch. Get Warframe at Steam: $0.00 Free. Team Fortress 2 is very identical game to the overwatch with team-based multiplayer FPS gameplay. Valve Corporation release it for Windows, Xbox360, PS3, Linux, and Mac. It is available for free to play. If you were a pro player in the overwatch, then you can easily be a pro-player in the TF2 (team fortress2). It has similar gameplay to the overwatch, the playing strategy and the game modes are similar to the overwatch. Only its visuals and the sounds are different. The interesting part about the gameplay of the TF2 is, you can switch your character class to another class in live battle. The high-quality cartoon-soft graphics excite you to play team fortress 2. If you have a creative mind and want to create something in the game, then you can create or customize readymade objects in the TF2. 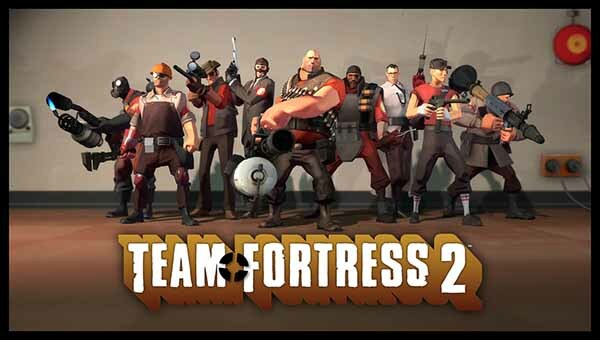 Get Team Fortress 2 at Steam: $0.00 Free. Battleborn is a 4th great game in the list of the games similar to overwatch. It is an online first-person shooter game by the gearbox software LLC. It features both single and multiplayer gameplay modes. As a Paladins, it has a far future fantasy sci-fi gameplay. You will experience deep multiplayer battle gameplay, it has amazing camera angles and strategies. The character skills and the weapon effects put gameplay on the next level. You can take a free trial of the battle born and then purchase a complete game. 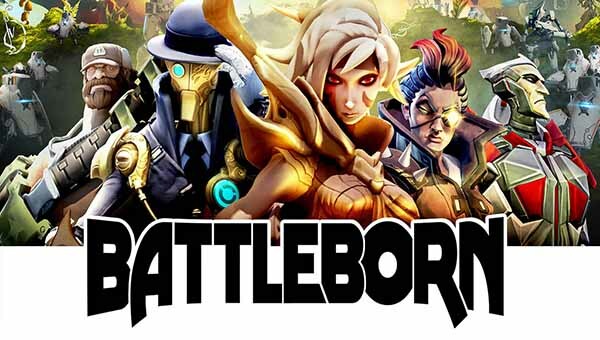 Get Battleborn at Steam: $0.00 Free. 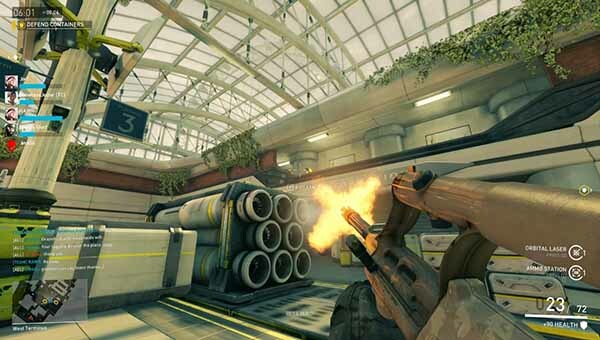 A dirty bomb is another free-to-play multiplayer FPS game developed by the splash damage. 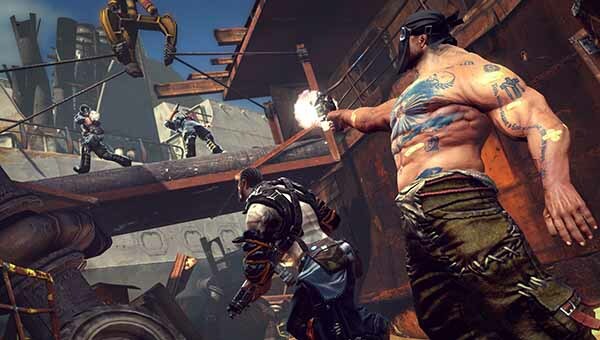 The Dirty bomb is a storyline backer multiplayer game that revolves around the near-future theme. The gameplay maps feature the city after a radiological bomb attack known as a dirty bomb. You need to use very sharp playing tactics to play battles of the dirty bomb. Because all the character has very impressive powers. It is completely free to play. Get Dirty Bomb at Steam: $0.00 Free. Planetside 2 from Sony online entertainment is a 6th massively popular game in our list game like overwatch. 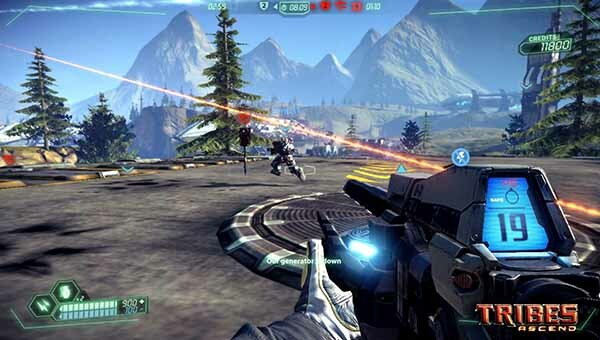 The game is all about the war, Planetside 2 has many strong servers that arrange very huge battles. Single open battlefield contains 2000 players from the different continents. There are three different armies or the territories that fight against each other in a single open battle, you are one of those warriors of the territories. The graphics are astounding. Planetside 2 is free to play. Get Planetside 2 at Steam: $0.00 Free. Again another product of hi-rez studious in this list of games like overwatch. 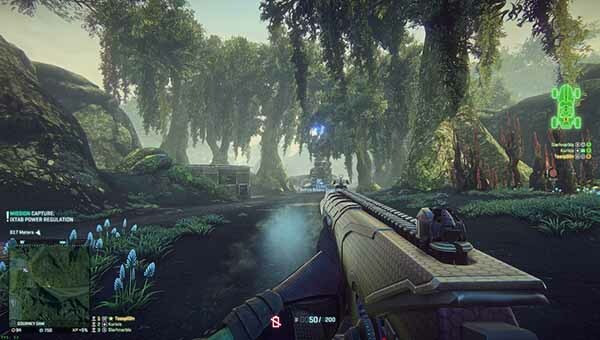 Tribes Ascend is a multiplayer first-person shooter game for the windows. Tribes Ascend is made for the sci-fi war mission lovers. There are many interesting characters and weapon skills available in the gameplay. It also features some interesting properties in the battles like vehicles, tanks, jetpacks and many more. The suspensive gameplay strategy and mechanics add extra adrenaline in your battle. 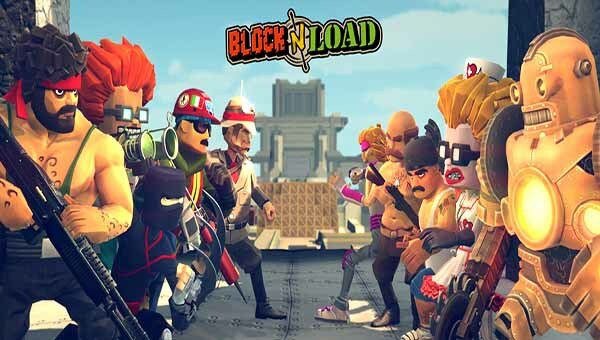 Did you love the Lego bricks or the Minecraft and Roblox like games, if you, then check out the block n load from the Jagex. It is a team-based FPS and voxel-based sandbox game. This game features visuals of virtual bricks based environment like the Minecraft. You can play with 5 vs. 5 team based battles with amazing cartoony graphics. The gameplay divides into two phases, first is a build phase where you have to build defensive structures like walls, weapons, and many more to save your area from the opponents, another phase is Attack phase where you need to destroy their properties and kill enemies using various types of weapons. It is free to play with some premium content. 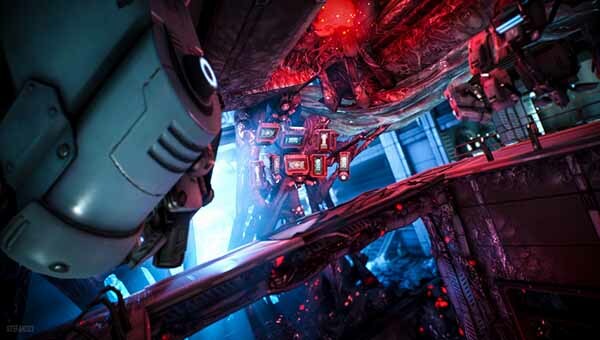 Blacklight is a cyber-punk themed first-person shooter by Hardsuit labs for Windows and PS4. The futuristic weapons with amazing fire effects and hyperreality visuals will blow your mind in the battle. Blacklight; retribution has massive maps with a large variety of customized options. It has more than 900 gun combinations, for all character classes. The playing tactics are also very impressive like, in the battle, you can see through the walls with some special characters. You will definitely not get bored after playing this game. Brink is a tenth best alternative in this index of similar games to overwatch. This game is very entertaining first-person shooter. Brink’s high-quality graphics and wonderful physics are like a paradise for gamers. The single battle holds 16 players where you play co-operative fight or a solo battle. All battle maps will be arranged on the floating city. Now its PC version is free to play, it is available on Windows, PS3, and Xbox One. Crackdown is the latest game from the Microsoft studios. If you are finding games like overwatch for the Xbox setup, then you need to check out this game first. 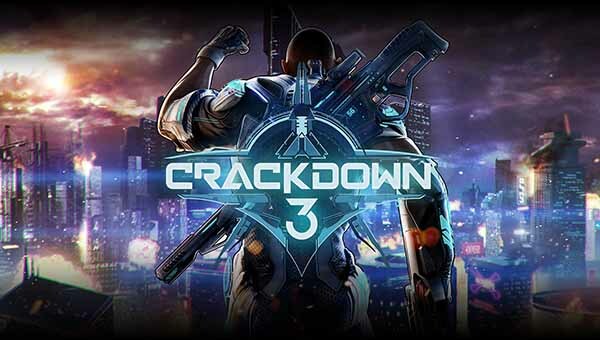 Crackdown 3 is an exclusive premium game for the Xbox users, it is accessible for Xbox and Windows users. You can buy it from the windows store for 58 or something dollars, with a 14-day free trial. The storyline of the game is very entertaining with 4k quality graphics. The gameplay is as, some bad organizations are controlling various parts of the cities and making trouble for the citizens, but you are the only hero of the citizens. You need to complete many missions by killing bosses and his armies. 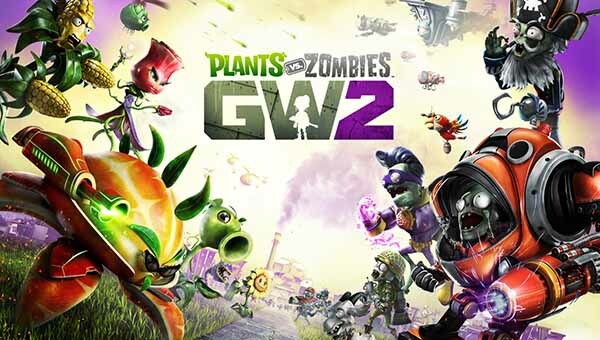 Plant vs zombies, most of the gamers know and love it in their school days, but now plant vs. zombies: garden warfare 2 is an ultimately upgraded version of it for the college boys. This is an interesting and entertaining third-person shooter published by the Electronic Arts. PvZGW 2 is released for the windows, PS4, and Xbox One. The gameplay is based around the battle between the plants and zombies, in specially designed maps. If you love laughable gameplay then this game is for you. It features many modes like 24-player multiplayer mode and 4-player co-op mode with 100 playable or editable characters from 14 different classes. 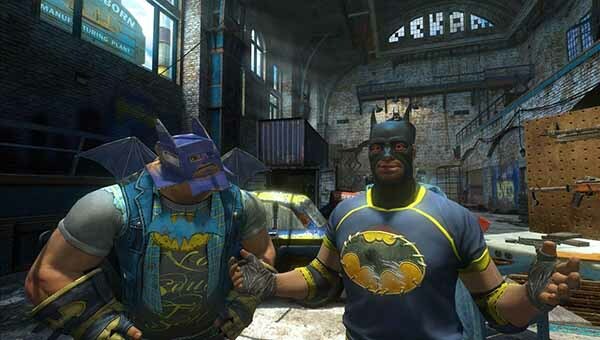 Gotham city imposters is a DC comics based Batman themed game published by the warner bros. interactive entertainment. It is a 12-player based multiplayer FPS game where one team dressed like Batman and another like Joker. Its GUI is quite high quality with mild fantasy visual mechanics. This game features four game modes with amazing strategies. You can customize weapons and character accessories. If you love attention-capturing properties in the gameplay with humorous characters then, you can give a one try to this game, it is free to play. Titanfall 2 is again another futuristic world themed game by the respawn entertainment. This game gives you to become the pilot of the titan robots who fight for your world. It has sharp-edged finished graphics with amazing physics and effects, you can do moves like cloaking, hook grappling, double jump, wall run, and many more. 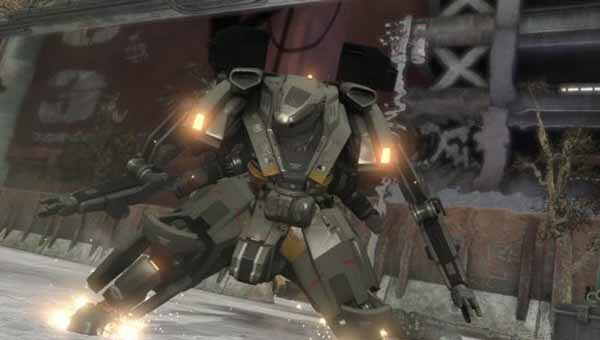 There are many things to do in it like unlocking new arsenals, character cosmetics, upgrades, and special skills. 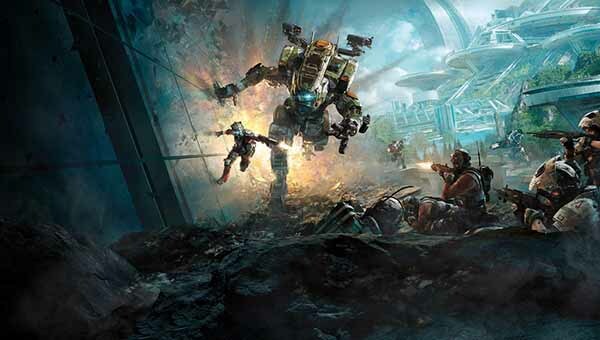 Titanfall 2 features both single and multiplayer game modes. 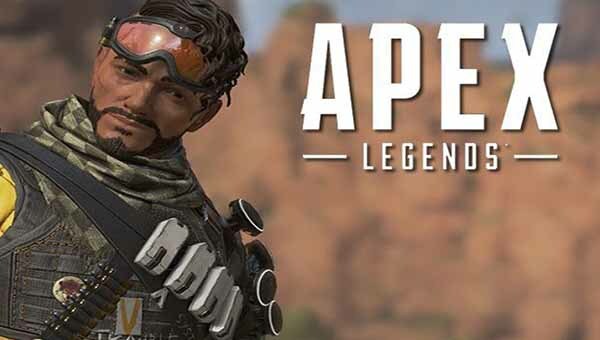 Apex Legends is again very latest game published by EA games. It is a team-based multiplayer FPS battle royale game, and free to play. Its gameplay is similar to the overwatch but ore upgraded and well-finished than it. Apex legends is a fully action-packed battle royale game. It features a battle between heroes, all battling opponent team contains only heroes that are in the game. Each battle of the apex legend contain 20 teams and each team contains 3 players, you need to kill of them, only last standing team will win. Apex Legends is the game for who only prefer high-quality GUI and last stand win games. Want to Buy? – Don’t worry its free. A PUBG kind of game, Squad is a tactical first-person shooter game developed by the Offworld entertainment. 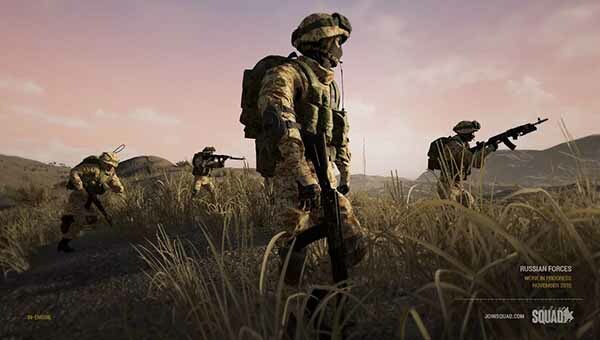 Squad’s visuals and the playing approach make it different from the other FPS games, it features real-world type of visual, maps. As an apex legend, it also consists of many squads in a single battle but there is a small twist in it. Each squad in a battle has only a single class, means if you choose a squad of riflemen then there are all rifleman in your squad. You can communicate with your teammates to make tactics. Bungie games develop this game for the windows, Xbox One, and PS 4. 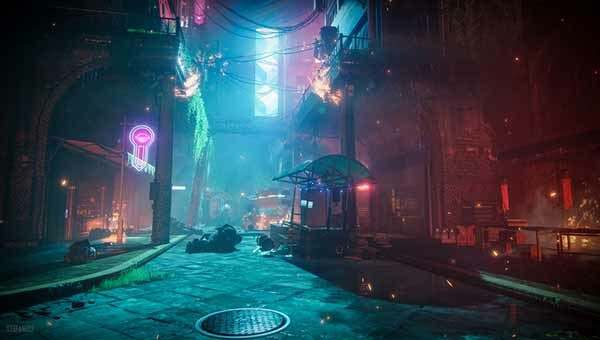 Destiny 2 is an online multiplayer FPS game. Destiny 2 gives you all surprising HD quality graphics with well-improved character and their items. It features matchmaking to play the battle, you can only talk with the players who are your teammates. The gameplay features 3 classes for the characters and in-battle you another two teammates are from different classes. You can create clans in the game and strike or raid other clans. 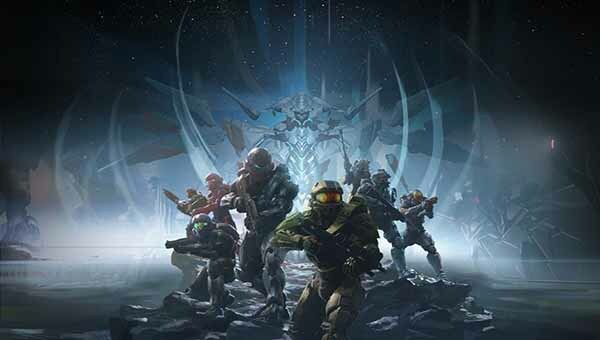 Halo is a last team-based first-person shooter game by Microsoft studios, it is available only for the Xbox One. This is a one of the top selling game on the Xbox, its 5 million copies were sold only in first three months after release. You will experience smooth 60FPS 4K GUI of the halo by purchasing it from the windows store. You can play many modes that are available on the game like solo, 4-player co-op, warzone, warzone assault, and firefight. Warzone feature 24 players in the battle. Halo 5 has sci-fi gameplay and amazing character physics with amazing weapon mechanics. You can take its 14-day free gold trial. So, that’s all we have presented in this article about the best 18 similar games like overwatch, choose any one from them. Stay tuned with us for more updates about the guides, tips, and tricks for games and apps.